My husband was frequently around when I was listening to this audio book for the second time. Because it is sports-related (NOT a true story about the 9er's, btw), his interest was drawn. He liked the story, and does not read much fiction - preferring history/biographical books and spiritual studies in his busy world instead. 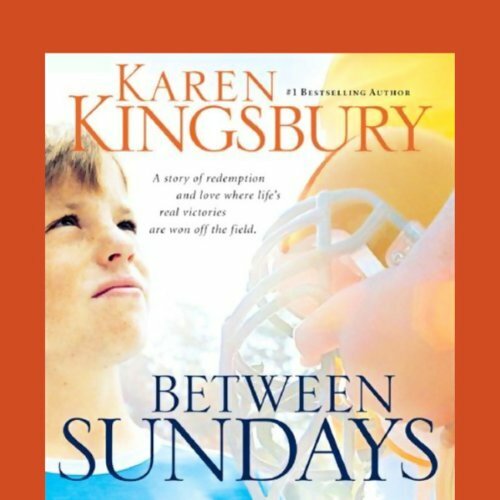 Between Sundays has some solid direction for fathers and is narrated with simplistic language - for instance, Kingsbury captures a child's thoughts as a child would think them. The narrator is easy to listen to with properly placed inflections and some voice changes for various characters. 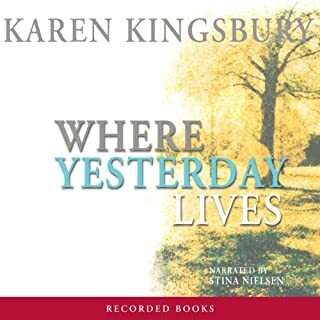 Karen Kingsbury attacks real contemporary social problems in this book, as she does in her other books. I typically prefer period history pieces, however, I have enjoyed every one of her books I've read (over a dozen of them so far) or listened to. I have read and listened to most of Karen Kingsbury's books. As a result, I am a big fan. Between Sunday's was not my favorite title of hers. The story is great but it seems to move a little too slowly. There were times I couldn't stop listening and other times I just wanted the story to move on. Towards the ending, I felt it was so predictable that the pace could have been picked up a bit. I still think it is worth the read, but I am not giving it five stars. 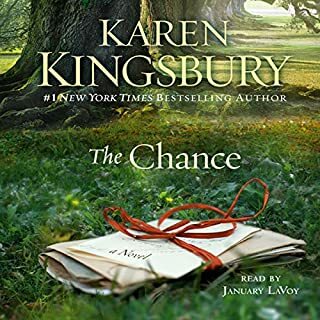 I've listened to a number of Karen Kingsbury's novels with Audible. The narrator for this one was not the best choice. Her pronunciation of various words and male character "voices" made it very difficult to focus on the actual story. Megan - her pure and sincere personality made it easy to identify with her. Who would you have cast as narrator instead of Kathy Garver? Someone with the ability to stay in character and differentiate between "male" voices. The flow of the story is unreal sometimes. I find it exasperating to listen on some portion of the book. People just doesn't really think the way the characters in the stories think. But it's a nice story. Just wish it could have been written with a little bit more depth. I have to confess that I love football, so this book pushed my buttons. It was a great combination with love story, family, football, drama and faith. I loved it and was sorry when it was over, although I was happy to see it all resolved. I loved this book! I laughed and cried. One of the best books I have listened to in forever!! God and football come together to make a fabulous story line. Giving your heart to God trusting in him and receiving the treasures of life. Wonderful narration and characters. Enjoyed listening to this book.....what happens between Sunday's really does matter. Will recommend to anyone looking for a relaxing reading book. 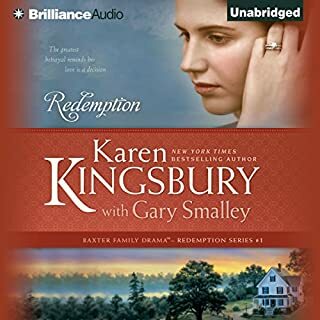 Would you try another book written by Karen Kingsbury or narrated by Kathy Garver? 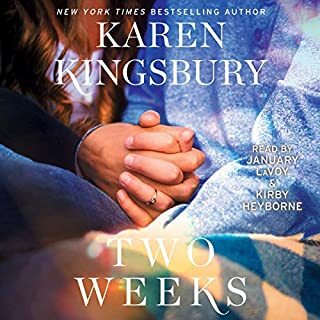 I love Karen Kingsbury in spite of Kathy Garver and I have read most of her books. 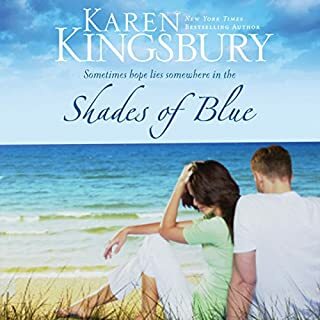 I have another book by Karen in my Audible library and I do hope that Joyce Bean has done a better job than this with Oceans Apart. I love listening and I bought Between Sundays because I loved the novel. I can listen for hours but this time one hour is more than enough! I enjoy reading more than once books that I really like and Audible has made ‘reading again’ especially enjoyable. Not this once. I am sorely tempted to hand this one back.